On September 9, 2015 Judge Clayton Davis sentenced Jonathon Jerome Guillory to the mandatory sentence of life in prison without the benefit of probation, parole or suspension of sentence. The life term will be served with the Louisiana Department of Corrections. 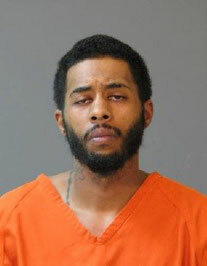 Guillory was convicted of Second Degree Murder on August 7, 2015. A jury found him guilty of shooting his girlfriend’s step-father, Felton Paul Boutte, in February of 2014. The incident occurred on Smith Road in Lake Charles. Family members separated Boutte and Guillory after the men had a physical altercation. Guillory then retrieved a firearm from another part of the home before coming back and shooting Boutte at least three times. Detective Timothy Scoggin handled the case for the Calcasieu Parish Sheriff’s Office. Assistant District Attorney Christy Rhoades May prosecuted the case for the Calcasieu Parish District Attorney’s Office with the help of First Assistant District Attorney Cynthia Killingsworth.